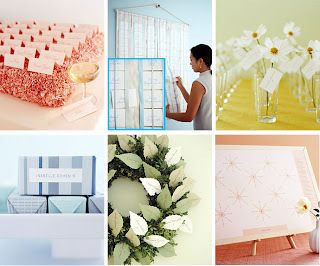 How to create an inspiration board: The Super Easy way! No photoshop required! After many attempts to try using Photoshop... I just got even more frustrated! I just had to give up and told myself that ignorance can be a bliss after all! However, I found couple websites that can turn your inspiration images into a simple mosaic board less than 5 minutes! How cool is that! *Use Cyworld You can download it without signing up and it's so easy and quick! But you'd have to read & understand Korean to use it! You can also change the background color and the border color, and increase/decrease the spacing between the photos with a simple click. Why is it that some people just don't respond back to RSVP's? 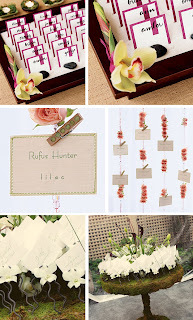 Nowadays, online RSVP seems to work best, but what do you do when most of your guests are your parents' friends and relatives you hardly know? It's just not in our Korean culture to respond back right away and some adults just show up on the wedding day asking for their seats. This topic makes me reminisce on all the experiences I've gone through in the past with seating charts and let me tell you one thing: it wasn't a pleasant experience. I usually tell my clients to leave one extra table or a few empty seats at every table just in case some unexpected guests show up. 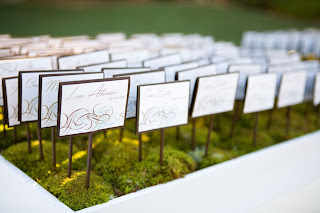 Once you've collected all the guest lists hopefully 2-3 weeks before the wedding (and you might need to call them and bug them to send it in) here's what you need to know before you start working on your seating chart. 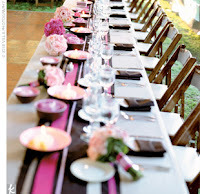 The bride and groom may sit at a long rectangular head table with the bridal party or their own "sweetheart" table. 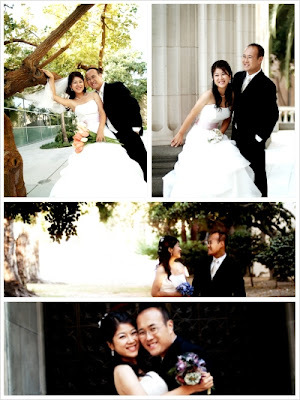 Often, the parents of the bride and groom sit opposite each other at a large family table, with grandparents, the officiant, and other close friends. 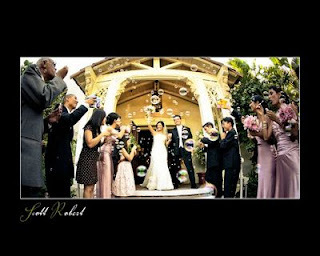 An alternative is to have the bride and groom's parents "host" their own tables, consisting of their family members and close friends. In the case of divorced parents, each parent may also host his or her own table, smoothly diffusing any awkwardness or discomfort. As for the rest of your guests, should you put friends together or seat them with "new" people? The answer is a bit of both. While it is a great idea to mix in a few new faces at each table, remember that people are most comfortable when they know some of their dinner companions. Be considerate and put acquaintances together when you can. If you have guests who don't know anyone, seat them near guests with similar interests. If you have a group of friends that cannot fit at one table, split them down the middle, and fill in each table with other guests. What about the guests you don't know? If you have no idea what to do with your parents' friends, let your mother and mother-in-law arrange those tables. This is very important! 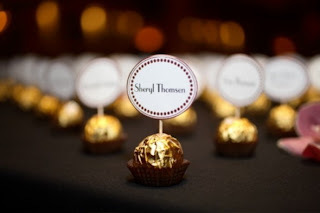 You want every guest to feel special. Some guests will take it personally if they're sitting way in the back. Be sure to ask your parents and mother-in-law where they should be seated to be considerate of their needs. 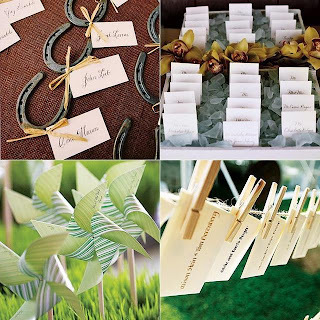 Go over the seating chart one last time with your parents a couple days before the wedding day. And no matter how perfect your final seating plan seems, you will undoubtedly receive at least one last minute phone call begging you to change or add more names. In this case, try to be accommodating, but don't let this stress you out too much! Rose petals are very romantic and classic! bubbles are always fun and come out very pretty in pictures! 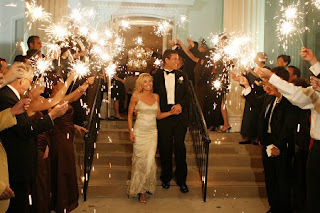 Sparklers are another romantic idea to end the night! or how about these ribbon wands? Okay. I need to confess. I love this job but it has one side-effect. And that is I cannot help but to critique when I attend weddings as a guest. Here I'm seating at the pew thinking to myself, 'Esther! Don't look at the centerpieces figuring out which vendor they chose, just enjoy and bless their marriage! But here I am, looking at all the details and critiquing every aspect of the wedding and I'm making a mental note on my head what was good and what was bad. My husband knows when I do this, so he usually tries to stop me. ha ha... I just can't help it! Anyways, as I have been to many weddings, here are some mistakes you can avoid while planning yours. 1) Don't think that your work is done once you've chosen your vendors and have signed the contracts with them. You're only half way done. I don't want you to be too discouraged as if your many months of searching for the vendors was for nothing! Good job! I just want you to make sure you have everything in paper, even the small changes here and there, you need to confirm with the vendors at least twice! Even if you need to bother them... Do so. I've seen some vendors totally ignore the bride's wish on floral arrangements and went with whatever was convenient for them. 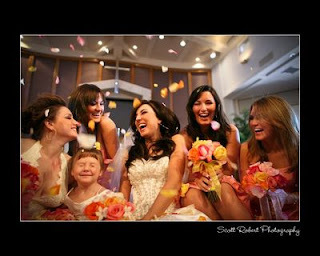 2) When you assign your friends to help out with the wedding, (for example, slideshow, or video presentation) make sure you review the work at least 2 weeks before the wedding. That way, they'll have time to revise it. You simply can't expect them to know what you're thinking and expect a quality work! It's always good to have a list of job descriptions for the helpers and what time they need to arrive in prior to your wedding. 3) Just because you get a good deal doesn't mean you will receive a quality work. For example, a lot of K-town photographers these days offer Casual, Formal & 'The Day Of' photography for less then $3,000- $3,500 but this never means that they're good at taking candid, detailed,& creative shots. You need a photographer who can take good shots on the day of the wedding! Don't be deceived by their free offers such as parents album with unlimited proofs and what not. 5) Don't try to DO too much! 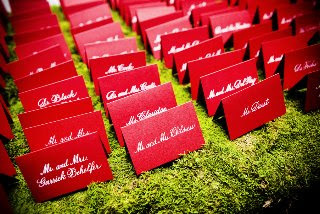 what I mean by that is, keep the ceremony short and sweet! 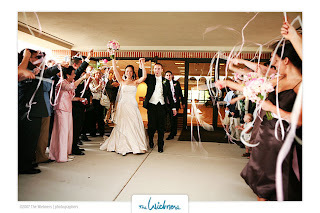 the reception, fun and entertaining! 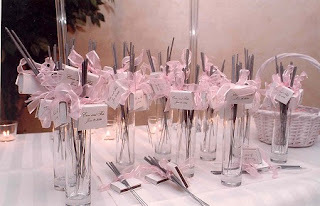 There are some brides who try to do pae-baek(패백) in between the ceremony and reception or making the cocktail hour way too long, but you don't want the guests to wait that long! Yes... the wedding is about You! But you need to also ask yourself, 'who are my guests?' If you have way too many adults, keep the reception short and have a 2nd reception with your friends afterwards. 6) If you're having a reception at church, don't even bother to do RSVP! It's just a waste of postage and time. Korean adults will seat wherever they want to if the wedding is at church with buffet-style. It's just a reality! 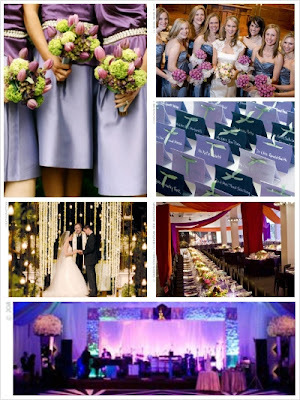 If the wedding is at a hotel, then make sure you have one usher per 50 guests to guide their seating. 7) Make sure to thank the guests and all the helpers! The earlier the better! I've been helping out with weddings since my college years (back then, I wasn't getting paid or anything) but I couldn't help but to feel this sense of being used when the bride and groom didn't appreciate me for what I did. Not that I was expecting a lot, but a simple appreciation gift will be nice. 8) Don't pick a bad time of day/month for weather- Of course, you can still have a good time if it's raining or windy...but one of the worst mistakes brides can make is to plan a wedding outdoors in the heat of the day (1pm-4pm), in July, August or September. I've seen many weddings made insufferable by outdoor heat.... If there's a chance it might be over 85 degrees that date try to push the hours later. Obviously, if it's indoors, make sure there will be sufficient air conditioning. If you're planning an outdoor wedding and that date there is a slight possibility of rain, research getting a tent beforehand, so you won't be a frazzled if it happens. 9) Don't let your money go down the drain. Sure, there are a lot of costs associated with a wedding, but overspending can be avoided if you have a budget and stick to it. Don't let people who are looking to make a profit off of you talk you into spending more than you're comfortable with. a special tribute to my husband who loves me dearly. I don't think I can ever find a groom who can sing better than my husband!! I baked these cakes for the first time in my life and He loved it!!! Do you think it's worth it to buy a hanbok for your wedding? If I had to do it all over again, I would just rent it. My mother-in-law insisted that I get my own hanbok but I've only worn it twice and I don't think I will ever wear it again. It's around $400-700 dollars to customize your own hanbok in Korea or even in the States. hmm.... with that money, I would just get myself a nice pair of shoes or dress. By the way, have you heard of a "fusion" hanbok?? You can definitely rent them for only $80-$120 dollars! They are so adorable and cute unlike the traditional ones. Also, there are hanboks that turn into spaghetti strap dresses! all you have to do is take off the long sleeve top(저고리)!! here are some pictures to show you the latest trend in Hanboks!!!! Enjoy!! 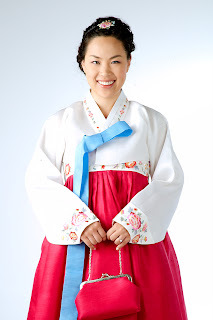 Visit all that hanbok , hanbok land for hanbok rentals! 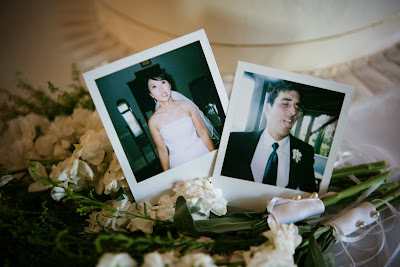 Here are some cake inspirations that I found from junebug weddings. 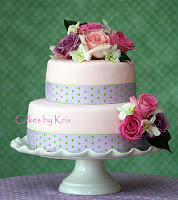 Did you know that fondant cakes can cost up to $5-15 dollars per slice? 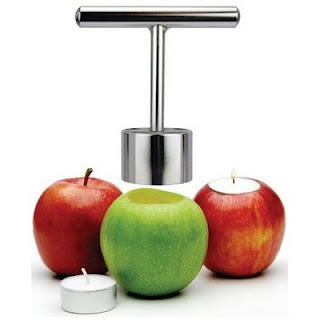 Easily they can cost up to $1000- 3000 dollars depending on their design. 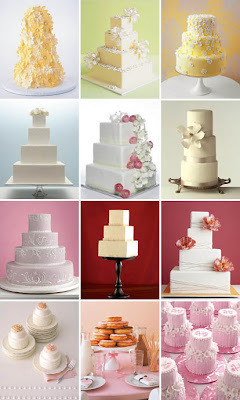 Kayla Lee gave me some good tips on how to save money on your wedding cake. If you have over 300 guests, just order the cake for 200 people and have the caterer cut it really thin. I know that Korean adults will probably leave before then... you know they how they just eat & run! Another option is you can ask the baker to make the bottom tiers fake and top 2 tiers real. 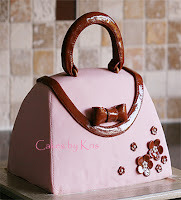 That way, the cake looks bigger and taller! Trust me, no one will know!